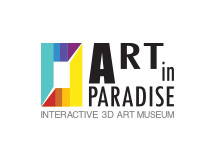 “Art in Paradise” the first Illusion Art Museum of Thailand, presents Illusion Art, the painting art requiring techniques and expertise in painting on a flat surface into a "3D" and giving a sense of realistic art. In addition, the museum also offers artworks in the form that allow visitors to take part in the artworks closely (Interactive Art), where the visitors can take photos with creative imagination, emotion and postures designed to correspond with each painting according to their own preferences as if they are a part of the painting. Therefore, Art in Paradise is where the art is understandable for everyone, and happiness and entertainment are delivered to the visitor as well.